Personalisation. In the past few years it has continued to be a big topic in eCommerce. Why is it a big topic? Well it appears that consumers love eCommerce personalisation, when it’s done right. 87% of shoppers who log in on an eCommerce website to get personalised results, say that they buy more. 78% buy more often and 76% buy more products according to DigitasLBi’s Connected Commerce Survey 2015. So there are a lot of potential sales to be made from offering relevant recommendations to your customers. When personalisation gets too personal though, it can be seen as a bit creepy. I read a great article from Micah Solomon which shows that potentially creepy side of personalisation. A creepy personalisation path we’d advise you not to venture down. It isn’t the yellow brick road to eCommerce success which you are looking for. ‘There’s A Spy Inside My Minibar’: Why Customer Service Surprises Are Hazardous–Online And Off’ explained the story of a customer service representative in a hotel solving a problem in a guest’s room. Whilst fixing the problem, the customer service representative also read the output from the electronically monitored minibar in the room. He saw that the guest liked vodka and therefore offered one of their new vodkas on the house to make up for the earlier problem. This was of course seen as a little creepy by the guest as she felt like she had been spied upon. The lesson to be learnt is that offering personalisation is a great thing, when you do it through a process which is seen as in the norm. Use information that the customer knows they are giving you. Use information that your customer is happy for you to use. Ecommerce personalisation is perfect for upselling or positioning yourself as a company offering highly tailored recommendations. It can increase conversions in the short and long run. So you should be doing it. And (just to make sure you’ve really got it) doing it without being creepy. There are 2 main ways of offering personal recommendations. Automated personalisationand personalisation with a human touch (personalisation through live chat). They can be used individually or in tandem to increase conversion and customer retention. Neither mean resorting to spying on your customers or doing something out of the ordinary. Here’s why we think you should be using them to offer eCommerce personalisation. Automated personalisation in a nutshell is the thing they use over at Amazon. I’ve linked Amazon because, if you’ve been on before, as soon as you visit there again you’ll be recommended something to buy. Visitors to the website are shown products at the bottom of the page – based on products they are currently viewing, have viewed previously or bought once upon a time. You’ll have no doubt realised that these recommendations on Amazon can sometimes (actually a lot of the time) be somewhat irrelevant to your current online shopping trip. With Amazon, it’s because a lot of the recommendations are based on previous purchases. If you don’t frequent the Amazon site too often or you buy a wide array of stuff on there, you’ll be getting recommendations for irrelevant stuff that you bought months ago and don’t need again any time soon. That’s what I always get anyway, maybe I don’t frequent Amazon enough. Automated personalisation works a lot better with websites focusing on particular products, rather than sites which sell absolutely everything (like Amazon). They also work a lot better, drive many more sales and retain a higher percentage of your customers, when they have a smarter algorithm controlling them. There are plenty of automated recommendation solutions out there. The best ones install on your website with a few lines of code and offer recommendations mainly based on previous items viewed or searched for. The one’s which don’t try and delve into your customers’ private information. Recommendations can be based on items previously added to basket and similar items which other customers searched for, viewed or bought. 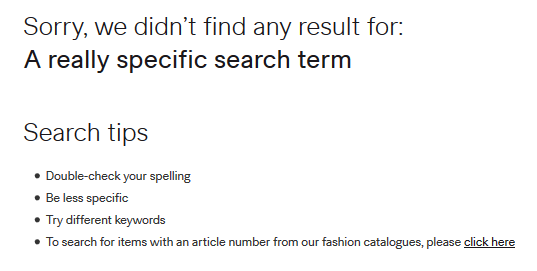 These recommendations can even appear when a customer’s search appears to have reached a dead end (offering alternatives to what the customer was originally looking for or what they looked for before). No-one wants to hit a brick wall like this when they are searching, you see. Customers are much more likely to find a product that suits their needs than on a site not offering such recommendations. And it isn’t seen as intrusive by the majority of consumers. Automated personalisation software uses the basic information which all other services collect and the use of this information is fast becoming the norm in eCommerce. Personalisation on eCommerce websites is one of the many things which we do with live chat. It’s a solution which can be offered with or without automated personalisation as it can offer even better recommendations to customers but not everyone wants to chat (automation can ensure that all customers are being fed some sort of recommendation – even if these recommendations are a little less powerful). Why is live chat such a great option for offering eCommerce personalisation? Because the customer has a personal shopper every step of the way (or just on the steps when they are stumped on what to buy). Live chat can add a human touch to shopping which creates a better online shopping experience and converts more customers. A customer can pop on live chat and get quick advice from a sales representative who knows what they are talking about. Or if they are on a big shopping spree, they can chat for hours…getting more recommendations on more product categories and being cross sold other suitable items. Sure, a customer may have been looking at dresses and therefore is getting loads of suggestions for more dresses (with automated personalisation); but what if the customer has already decided on the dress and now just needs to find the perfect shoes? With the live chat agent knowing the full range of products which you stock and which products go well with each other, they can offer a recommendation which the customer will love and will want to buy. As I said, live chat also offers the opportunity to cross sell items. The live chat agent helping the customer with the dress and shoes might know the perfect bag to go with it. The customer might not have originally thought of buying a bag too, but if they have told the agent a lot about the occasion they’re buying for, the human recommendation could be a perfect match which the customer can’t resist. Live chat addresses the issue of creepy personalisation by only using the same information as automated systems and whatever the customer is willing to disclose to the live chat agent. Customers come on chat looking for help and are more than willing to tell chat agents about what they want in order to get the most suitable product for their needs. So there’s 2 ways in which you should be offering eCommerce personalisation in unobtrusive manners. Automated personalisation and personalisation with a human touch can dramatically improve customer experience and increase conversions. If you’re interested in only providing automated recommendations then I’m afraid we don’t have a service to offer you. If you are interested in the power of a human touch however, we’re experts in that. Want to generate more leads or increase conversion? Discover what we could achieve for you with our free ROI calculator.